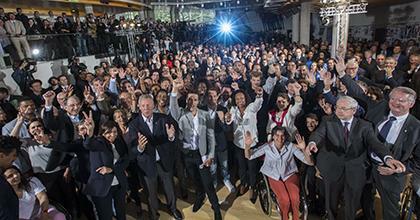 It’s official, Paris will try to grab the rings once again – this time for 2024. The French capital chose World Olympic Day being observed Tuesday as its platform to declare its candidacy for the 2024 Olympic Games – but the day honouring the history of the Olympic Games, one that is closely connected with Paris, will be the bid’s last look back according to the Paris 2024 CEO and Olympian Etienne Thobois. “We are looking forward, not looking backwards,” Thobois said during a conference call from Paris held after the bid’s official, energetic launch. 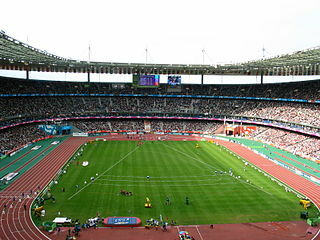 Paris failed in bids for the 1992, 2008 and 2012 Olympic Games but hosted twice before in 1900 and 1924; a 2024 Games would be the 100th anniversary of the latter. “This not going to be our main communication or focus,” Thobois said of the anniversary milestone. “We are very proud of our history with respect to the Olympic movement. Paris will also likely endeavour to differentiate from past recent bids, especially the 2012 bid lost to rival London by only four votes after the France was considered the leader throughout the campaign. But that bid was criticized for being complacent, and was ultimately bested by London’s focus on Sport. Paris 2024 has acted on this lesson by appointing Olympians at the senior leadership level of the 2024 bid. Including Thobois himself, Tony Estanguet, French International Olympic Committee (IOC) Member and three-time Olympic Gold Medallist will become a voice of the bid. At the launch of the bid Tuesday, 120 Olympians were present to emphasize that this will be an athletes’ bid. Paris is joining Rome, Boston and Hamburg in the hunt for the quadrennial prize. Budapest’s potential bid received municipal approval Tuesday but will likely enter the race after it receives national approval next month. Others may join the hunt before the September 15 nomination deadline including possibly Baku, Azerbaijan – currently hosts to the first European Games. But unlike the Boston and Hamburg bids that both need to get public approval in the form of successful upcoming binding referendums – Paris doesn’t expect any such issue. “We take public support very, very seriously,” Thobois said. “There is no plan for a referendum at this stage but we will keep very active in consulting the general public … public support is a key element. Thobias said very simply that the biggest challenge in the bid will be winning it, but is confident that this will happen. “This is about winning, we thought long and hard before we actually came to this day,” he explained. 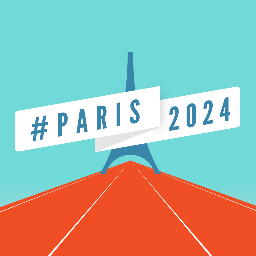 Paris 2024 plans to tightly embrace Agenda 2020 which it says is closely aligned with Paris’ long term development goals and its existing infrastructure and venues which will include the Stade de France. But what will make Paris unique, Thobias said, will be the dynamic of the bid. “We want to show passion,” he said.